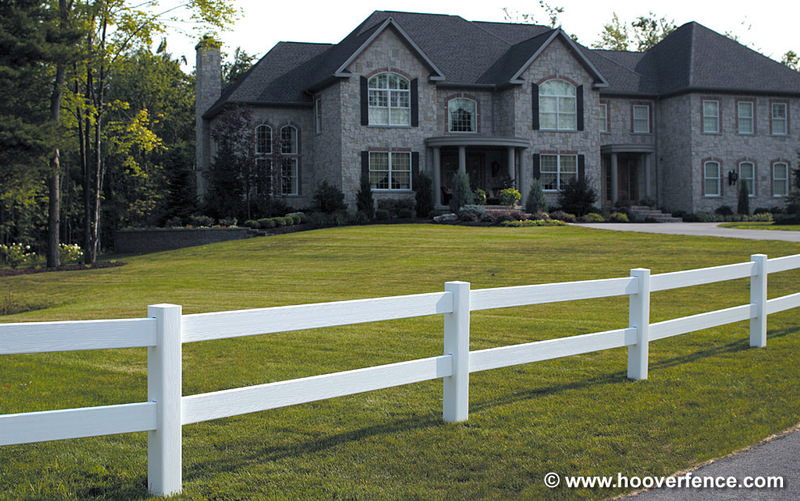 Bufftech Small CertaGrain Vinyl Ribbed Rails | Hoover Fence Co.
Post and Rail with CertaGrain Texture looks like the real thing. 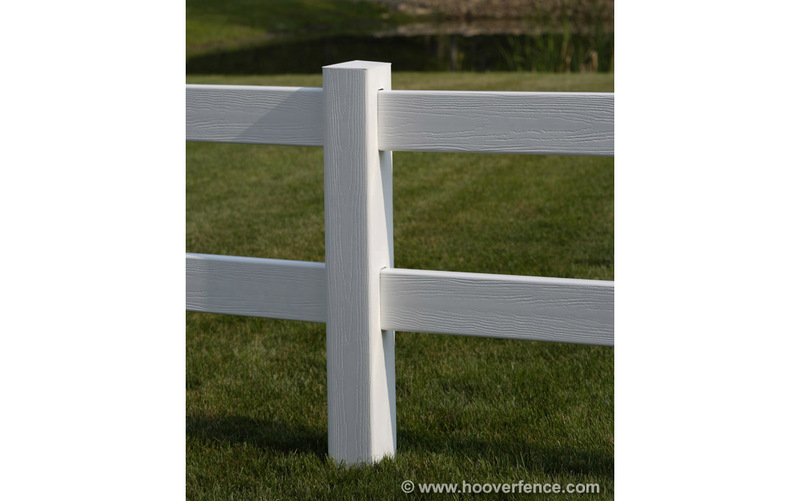 This post & rail fence style uses small ribbed rails that measure 1-1/2"x 5-1/2". Installs to a 3' (2-Rail), 4' (3-Rail), or 5' (4-Rail) height. Rails are 192" long. 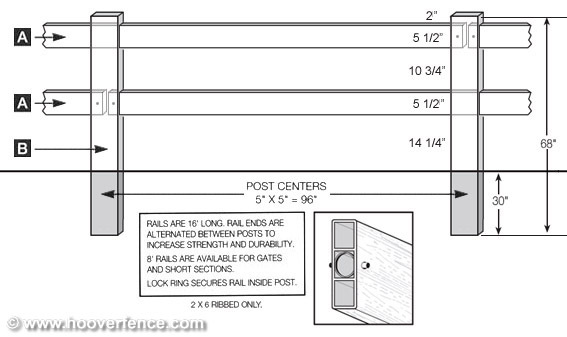 96" long rails are available for gates, short sections, or special applications. 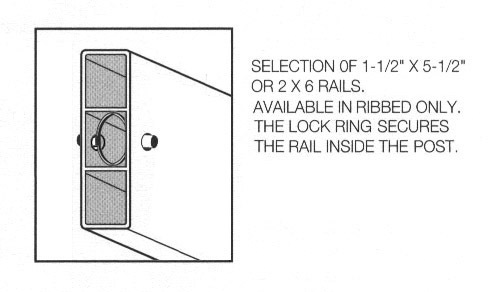 Rails secure to routed 5"x 5" posts using lock rings (Sold Separately, requires two per rail). 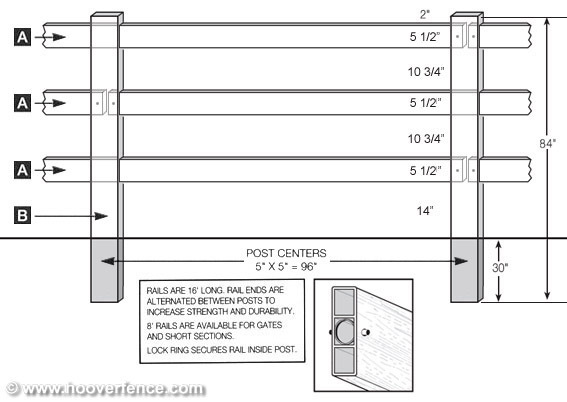 Posts are 68" (2-Rail), 84" (3-Rail), or 96" (4-Rail) long for 30" (2-Rail & 3-Rail) or 36" (4-Rail) inground installation. 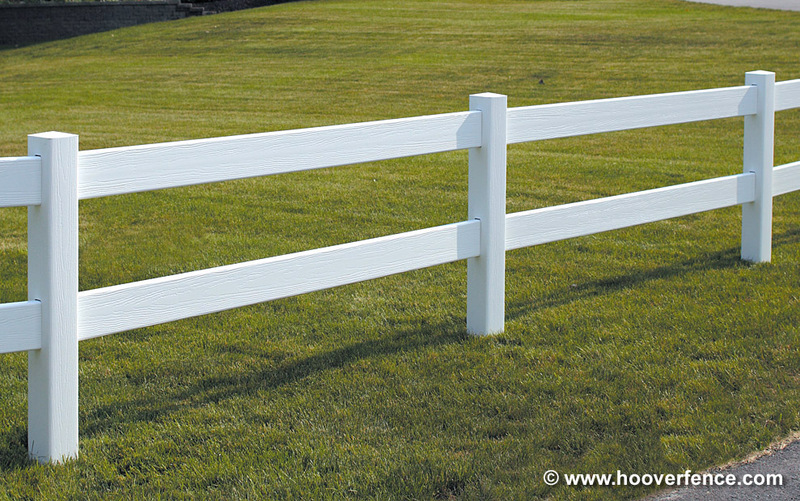 Most economical fence available to enclose large areas or to define perimeters. 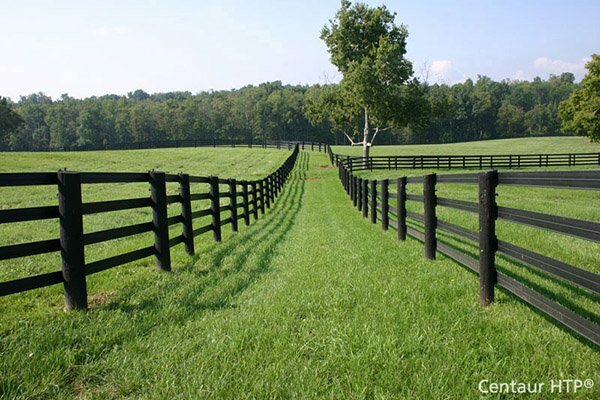 Fence is capable of following sloping terrains. Posts, rails, and post caps sold separately. 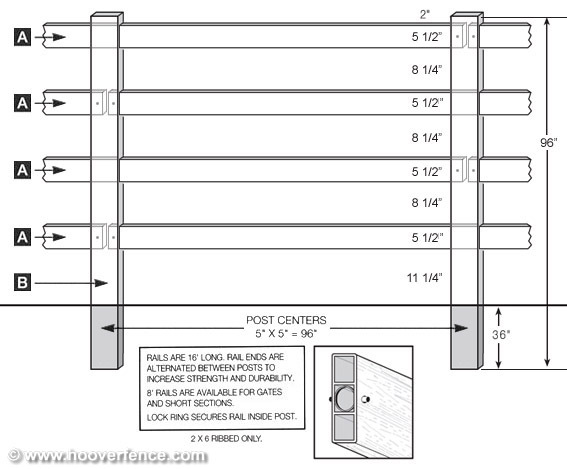 Post (in-ground) (B): 5" x 5" x 68"
Post (in-ground) (B): 5" x 5" x 84"
Post (in-ground) (B): 5" x 5" x 96"